Transforming Urban Transport confronts head-on the dilemma faced by a world wedded to mobility: the danger of continuing along the fossil-fuelled path and the real paucity of viable technological alternatives which can be deployed in time. To respond to the dilemma, the ideal of urban transport must be changed from auto-based mobility to systems of sustainable transport in which public transport, and non-motorised transport work together to reduce climate change pressures, enhance urban quality and preserve life and health. The book challenges the commonly held view that a combination of urbanity and higher residential density expressed in compact cities (expected to have greater public transport use) will resolve urban transport/environment problems, instead showing that transport systems can be changed to meet the environmental imperatives without the massive spatial change implied. But the problem of change of urban transport is profoundly institutional and cultural. Changes in urban mobility and transport require local institutional policy action. 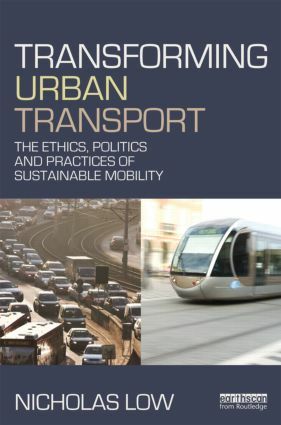 To support such action, the book explores new methods of governance of transport in dispersed and concentrated cities, new techniques for assessing transport need, ways of improving childhood mobility, guidelines for political mobilization, and norms of knowledge sharing. Drawing together leading scholars from different disciplines in Australia, Japan and China, this book provides a unique fusion of Asian and Australasian perspectives and engages with the coming needs of transport planning practitioners in both high density and dispersed cities.